Did you know that your upholstery collects numerous amounts of dust, allergens, skin cells, and sweat? Do you occasionally sleep on your couch? Do you or others eat and drink on the sofas? Well when you sleep on the sofa you shed skin cells and sweat so where does it go? It remains in the sofa and builds up over time. 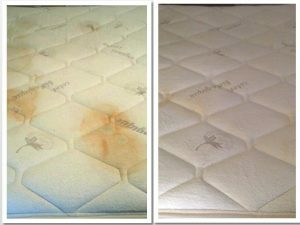 If you or other are eating and drinking on the sofa you may have food or grease stains or spilled drink stains. If you have microfiber couches it is said that you can use a damp towel to remove these stains but sometime you are left with water rings and it becomes a bigger mess than before. 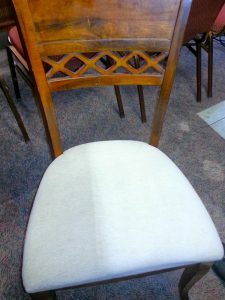 So what can you do to remove stains, dust, allergens, skin cells, and sweat from your upholstery? Call Beyer Carpet Cleaning of course. They are the upholstery cleaning experts. For a low price they will not only steam clean your upholstery to sanitize it they will also vacuum in between the cushions, lightly spray enzymes and emulsifiers to remove spots and stains, and spray a deodorizer so your upholstery will smell so fresh and clean. You will not be disappointed with your upholstery cleaning when you use Beyer Carpet Cleaning. When choosing the right upholstery cleaner in San Antonio there are a couple of things you will want to be sure of. Be sure they will not use a high PSI. If they do they could damage your upholstery. Upholstery cleaning is delicate work. If the PSI is too high too much water will be seep into the cushions leaving it soaking wet and because the cushions are so thick it is impossible to extract all that water. Water left in the cushion will turn into mold and mildew which will make you and others living in your home sick. At this point it would just be best to throw the sofa away so always make sure when upholstery cleaning to use a low PSI. Also you want to make the steam is hot enough in order to sanitize your upholstery. If someone is using a portable or if you are using a cleaning rental such as Bissell or a Rug Doctor chances are it is not hot enough to 100% kill all the bacteria living in your furniture. One last thing to remember it is not recommended to use a DIY cleaning rental. These machines use soap and soap leaves residue and cannot extract water as well as pros. The remaining soap can stiffen and ruin your furniture. When soap is left in the upholstery or carpet it will only attract dirt and become dirty quicker. These rules don’t only apply to sofas but to all upholstery cleaning such as mattresses and vehicle interiors. Take a good look at your upholstery and call Beyer Carpet Cleaning because it is probably time for you to have your upholstery cleaned. Upholstery cleaning is what Beyer does and they do it well.